LuxuriousPROTOTYPE: Emporio Armani | "Made in California" Jeans Line. 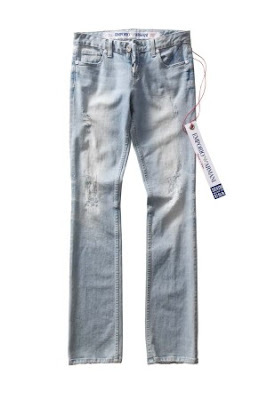 Emporio Armani | "Made in California" Jeans Line. As Americans start to get more concious about the economy we will start to see a shift in American Made clothes versus relying on China or Italy. Emporio Armani has stepped up to the plate to create a line of jeans that are made in America called, "Made in California". There will be four styles, two for women and two for men all priced at $195.Available at Emporio Armani stores and come February the Mens style will be available at Saks and Bloomindales.